Posted byadmin	 June 6, 2008 1 Comment on Let’s Start this Thing! Well, I’ve decided to go ahead and get this blog going. I’ve been thinking about doing it for some time and finally got Hall to set up the basics for me. There will probably be some formatting changes coming, but I have to figure out how to make them. Or I can wait until Hall has time. 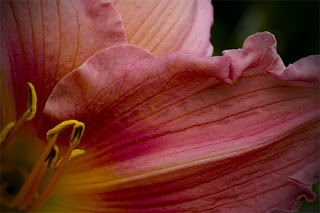 We have some beautiful daylilies blooming now. Bubba takes a boat ride. Kerry: I think bubba is going to be a good dog, but you have not had a bad one. Though, like humans, some are better than others.